... 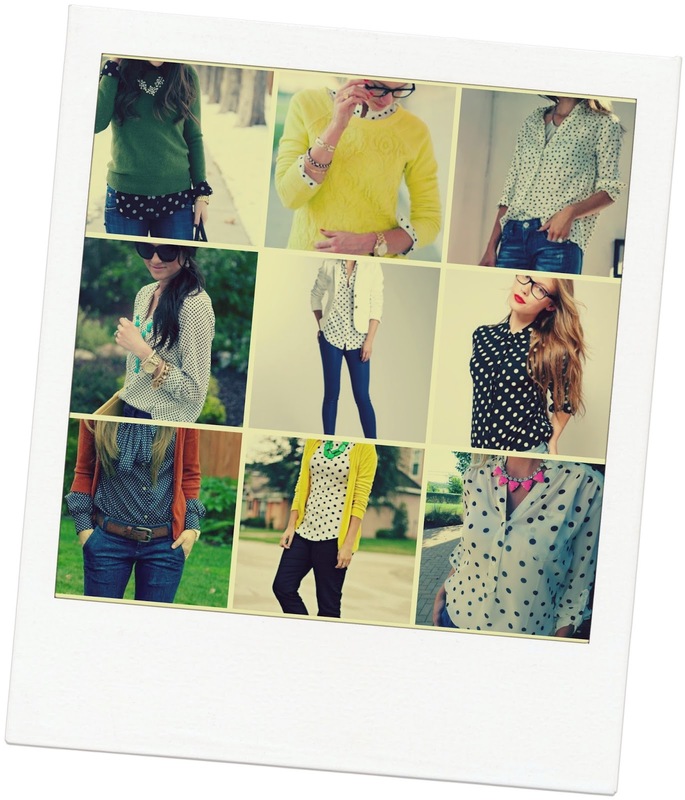 I decided to check out some spotty shirts! I bought one from Tesco recently, loved it but then decided I didn't need it so returned it. I did take a photograph to show and tell but then accidentally deleted it - d'oh! I guess that's a good thing in hindsight because I'm offskie to buy the Matalan one on Friday! 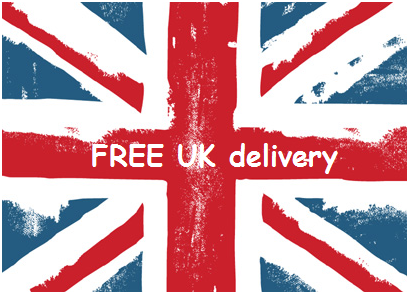 I'll do some show and telling on Friday with the Matalan and Next one if my local store has them in stock. I am amazed at how many are on the market - I didn't even search hard for them either! 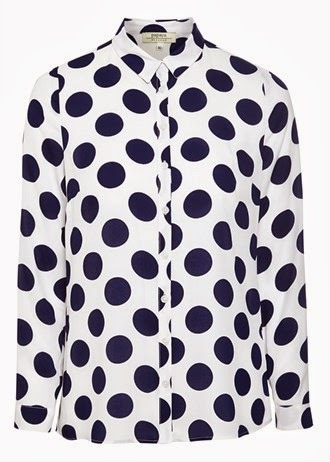 Do you own a polka dot shirt? I feel very flattered that my look inspired this post, thank you fiona. Go and but it, it fits lovely. More than welcome - I truly am inspired by your style and love to copy you ba ba ba ba! 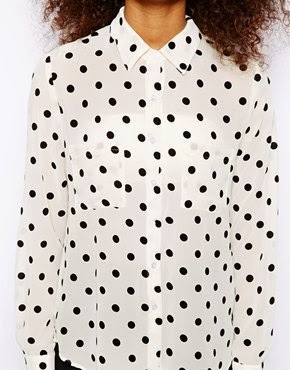 Love this shirt on Jo & I'm sure it will look amazing on you too Fiona. Can't wait to see the show and tell! She always looks so good doesn't she?! 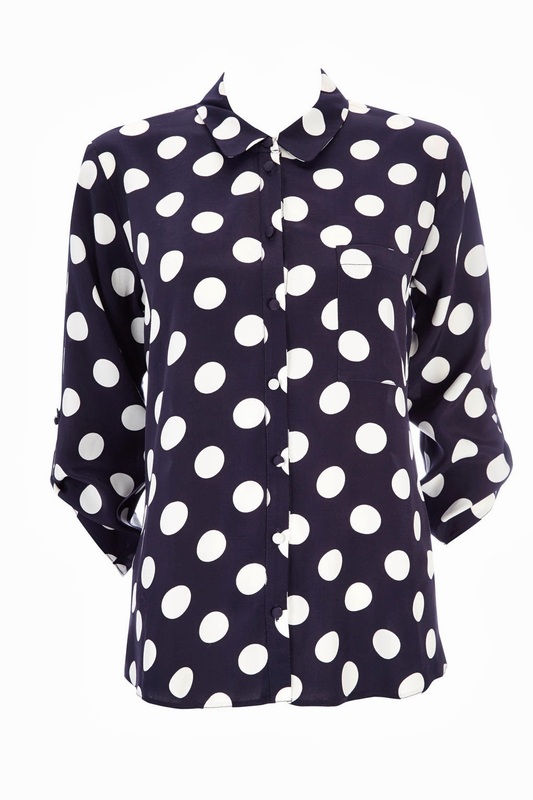 I love the fact it's navy polka dots and not black - will show and tell on Friday from the changing room. 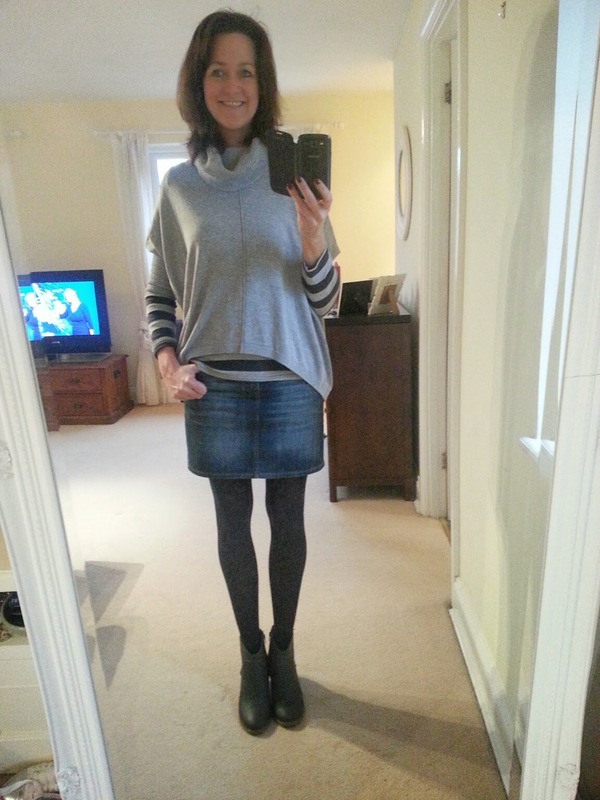 You're hardly 3ft 5" - you are tall too with very long slim legs - but I love you! 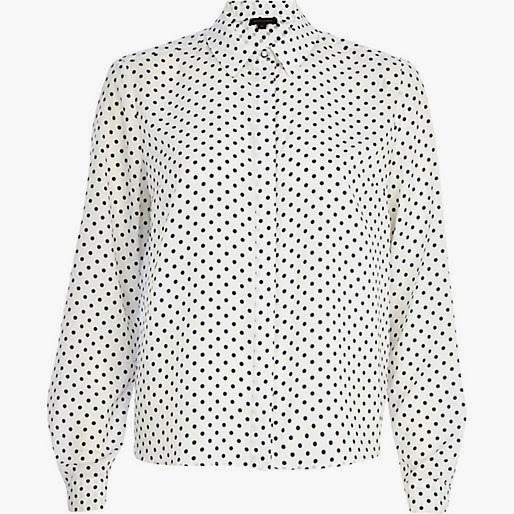 I own two polka dot shirts. Love them. I also love my denim mini (obviously can't wear it right now) & wear it year round so really like your ankle boots with it! 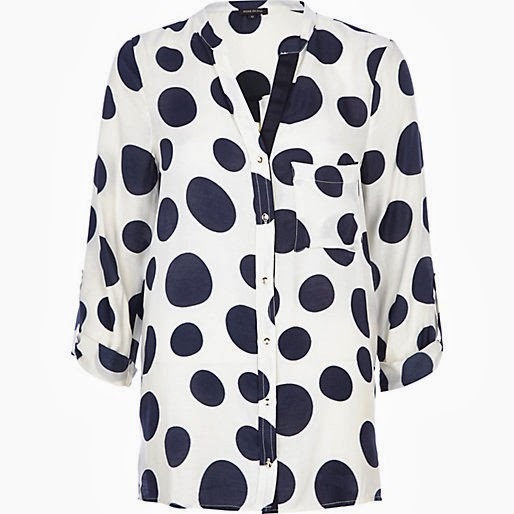 Maybe if I buy the spotty shirt I can wear with the denim skirt next time - nice idea!